As confirmed by a new leak from Evan Blass, the Samsung Galaxy S10 range will be composed of three variants. On the market, there is, in fact, also an unprecedented Samsung Galaxy S10 Lite that, according to the first rumors, could present itself as a “medium-high” range with many differences compared to the more complete Galaxy S10 and 10 Plus. 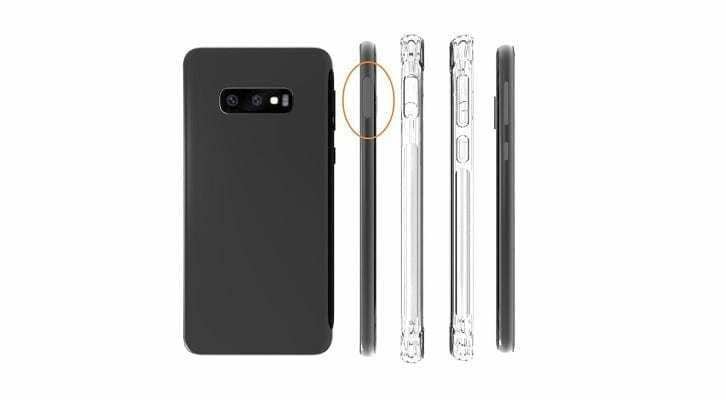 The image shown at the top of the article shows us what should be the new Samsung Galaxy S10 Lite highlighting a double rear camera with sensors aligned horizontally and the presence of a fingerprint sensor lateral (it is circled in the image above) ). It should also be noted that the rendering confirms the absence of curved edges for the display, a characteristic feature of the Galaxy S range in the last three years. These elements confirm that the new Samsung Galaxy S10 Lite could be presented as an “enhanced mid-range” with limited RAM and storage (we can assume 4/64 GB) and with a SoC that could be different than the one that will mount S10 and S10 Plus ( Exynos 9820 in Europe). Recall that the Samsung Galaxy S10 Lite will present a display with a diagonal of 5.8 inches resulting, therefore, as a true heir of the current Galaxy S9 that, in fact, has limited specifications compared to the more complete S9 Plus. Further confirmations on the project will arrive in the next days.